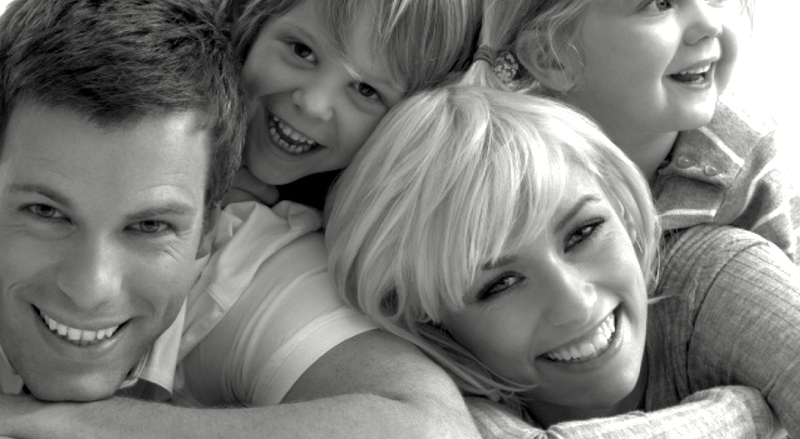 LiteTouch™ is minimally invasive and non-traumatic, helping to avoid later complications. This new dentistry technology uses light energy that eliminates bacteria during treatment, and therefore guarantees fewer post-operative infections and inflammations. LiteTouch™ treatments are carried out with light energy. As the LiteTouch™ is a laser and not a mechanical tool like the familiar turbine drill, most treatments can be done at a distance in non-contact mode. This means there is much less pain, with absolutely no vibration or scary noises - almost painless dentistry. It just sounds like popcorn. Most LiteTouch™ treatments do not require anesthetic injections, as they are carried out in non-contact mode at a distance. This means that there is much less pain and sensitivity, and the laser does not overheat. It's almost painless dentistry. LiteTouch™ is exceptionally accurate and selective, allowing minimally invasive treatments. That means it can treat the designated area with absolute precision, avoiding unnecessary damage to the surrounding teeth and gums. LiteTouch™ features a colorful, friendly design that puts patients at ease, making it especially suitable for children, as well as anyone suffering from a dental phobia. 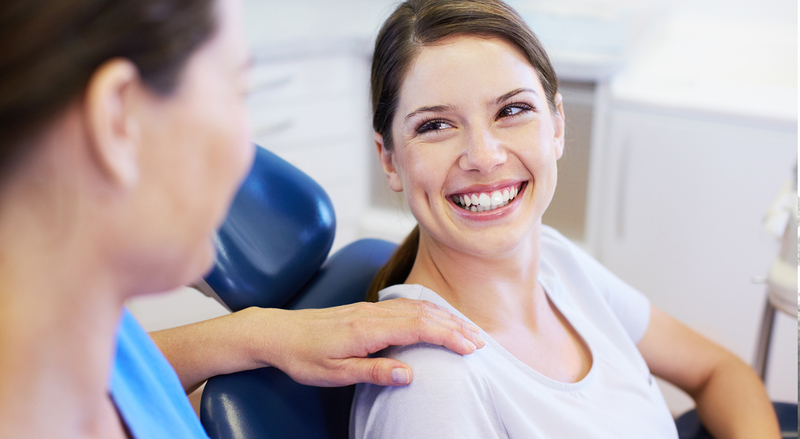 Improving the clinic experience of painless dentistry directly leads to more regular checkups and better dental health. 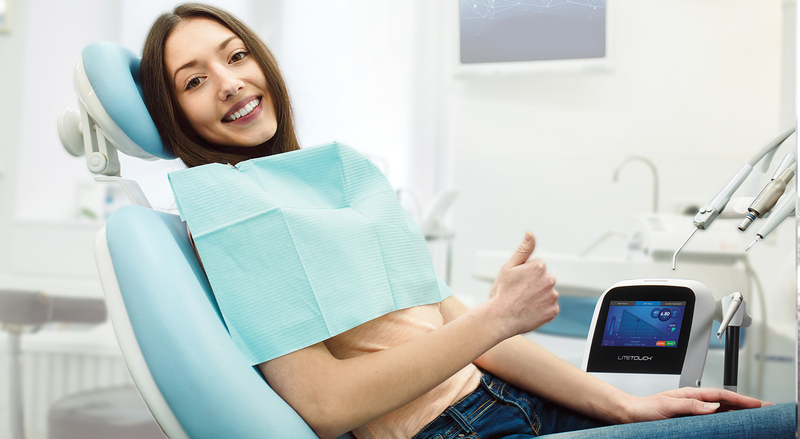 LiteTouch™ gives patients the opportunity to experience the dentistry of tomorrow, today. Featuring world-first advances, this revolutionary laser technology is endorsed by experts around the globe and will soon transform patients' perception of dental treatments forever. We came to this clinic, as Yael experienced traumatic dental treatments and was suffering from dental phobia. Different dentists tried but no one could treat her. The dentists recommended treating her at the hospital under general anesthesia. At the last moment we heard about your advanced treatment methods by laser assisted treatments. Since we were very concerned of general anesthesia, we decided to give your treatment a try. We did the laser treatment. After the treatment ended she said it was FUN! She could stand up from dental chair nicely, she could eat right after, and there were no problems after the treatment, which were the main cause of our anxiety. We just finished a series of 4 treatments, (Yael had many caries to treat), and the treatment was a complete success with a wide smile on her face! A special thanks to Dr. Marcelo Rezende & Dr. Tamar Adahan from Israel, for sharing their patient valued testimonial! A special thanks to Dr. Susana Dorfman from Israel, for sharing her patient valued testimonial! Which are the main benefits of treatments with LiteTouch™ laser? •	Reduces trauma to teeth : High speed drills can cause cracks and fractures in the teeth, eventually leading to dental problems. LiteTouch™ works in a non-contact way and without vibration, thus reducing damage to healthy portions of teeth and minimizing trauma. 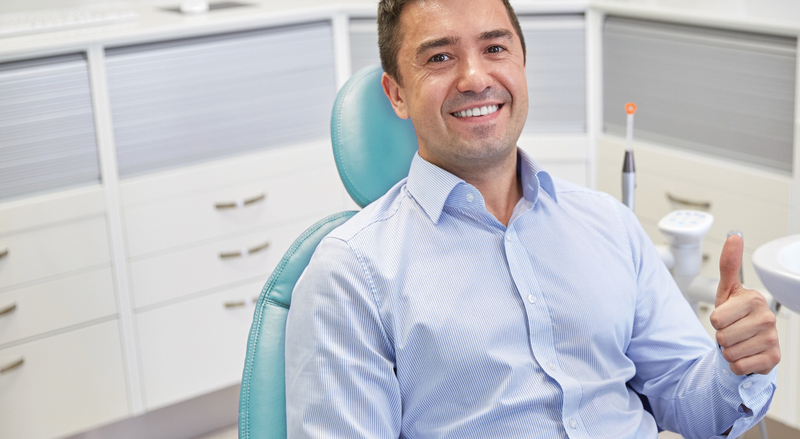 •	Allows Minimal Invasive Dentistry : For cavity preparation, LiteTouch™ removes as little healthy tooth structure as possible during tooth preparation. In surgery, the minimal invasive way guarantees fast healing with minimal discomfort and reduces swelling or other complications. •	Disinfection: LiteTouch™ reduces bacterial count, decreasing the chance of recurrent caries and infection after surgery. In many cases antibiotic coverage can be avoided. •	Clean cutting and precise vaporization: LiteTouch™ treatment does not produce a smear layer – which contains also bacteria – after cavity preparation. This means a reduced chance of recurrent caries and increased retention of composite restorations. Are treatments with LiteTouch™ painful? Since LiteTouch™ treatments are less invasive, less traumatic, more precise and gentle, they can be performed with less amount of local injection. In many cases the treatment with LiteTouch™ can be performed without any local anesthetic and yet in a painless way. Which are the main pathologies that LiteTouch™ laser can help treating? Peri-implantitis, gums infections, cavities, root bacterial infections, melanin gums pigmentation, smile gum design defects, dental aesthetic problems, oral bacterial and fungal infections, osteonecrosis in bisphosphonate treatments.